That advent calendar chocolate you scoffed before work this morning isn’t the only treat you’re getting today, as Native Instruments has announced that it’s giving two plugins away in the run-up to Christmas and beyond. These go by the collective name of TRK-01 Play, and feature the kick and bass engines from the existing TRK-01 plugin. 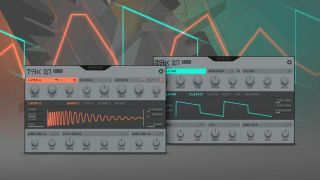 TRK-01 Kick features a blendable dual-layer kick drum engine that offers synth-based and sampled kicks and multiple modulation options. TRK-01 Bass meanwhile, contains five synth engines, giving you plenty of low-end tone-shaping options. This being the season of gift vouchers, NI is also offering its customers $25/£22 worth of credit to spend in its online shop. HOLIDAYS2018 is the code you need. As if that wasn’t enough, NI is running a Holiday Giveaway, too, with one person who enters winning Komplete 12 Ultimate Collector’s Edition, a Komplete Kontrol S49, a Maschine Mikro, and the new Traktor Kontrol S4. You can take part in the festivities on the Native Instruments website.